Psychological research has had a tendency to study negative effects of behavior both on the individual and cultural level. But new research has started to focus more on the positive aspects of behavior. I like this shift, as I think it will change how we interact with the world. In one TED talk I watched, scientists were studying genetic superhumans. That is, people with genetic ‘flaws’ that has proven to give these people abilities normal people don’t have. By getting more knowledge about these ‘superhumans’ we are also a step closer to knowing which environmental, psychological and biological factors contribute to their genetic make-up. Humans in a big crowd have an inclination to behave the same way. It is difficult to resist the force of it. This is why people, who ordinarily are sensible, can do things that they regret afterwards . It is also the reason people who normally are harmless can become violent. There are thousand different ways we can be affected by mass suggestion, both in a negative and positive sense. If I could do a study as a researcher, I would want to look at how positive mass-suggestion could affect us . Let’s for fun’s sake call it a social media experiment. If every person shared the research hypothesis I’m about to present with one person, it would be interesting to see what would happen next. My hypothesis would be something like: Can we by mass-suggestion, make people around the world do the same thing on the same day? For example I could propose that the 30th of september, every one of us tried to do one random act of kindness. What do you think would happen? Could it affect us all in a positive way? The date could be set one year in advance to make sure that many get the message, but as information can spread like fire in the right circumstances maybe it would not be necessary to wait that long. So, would somebody be interested in an experiment like that? 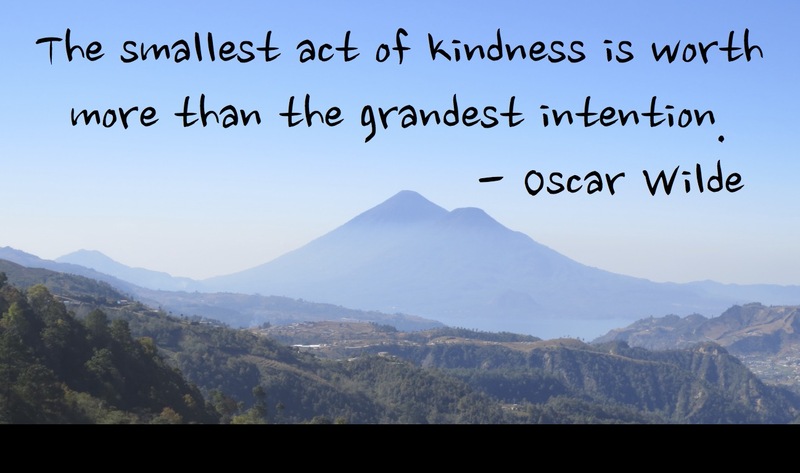 What can each and all of us do by simply being kind towards others? Why not try? We got nothing to lose. This entry was posted in health, inspiration, mental health, psychology, science, Society and tagged love, media, relationships. i am new here,and i wrote my feelings..will you please take a look..
Reblogged this on A Spoonful of Stars. I love the idea, I hope it’s possible. These days with the help of social media, I think it can be done. Beautiful idea from a beautiful heart! Though I’d say let’s try to do a random act of kindness whenever possible, each and every day, to begin with, this fixing a date idea is good for a mass movement! why fix a day? 🙂 Good deeds are often selfless and self driven I believe. But I can be wrong! I think on a massive scale, every little act of kindness could lead to a world of difference. I think media can really create a mass suggestion by their contents. Exactly, kindness should be a natural instinct. Yet we suppress it for fear of being bullied. Kindness really takes no effort on our part, and world peace is given a real chance. Superhumans? Now that’s something that is really interesting. I think mass suggestion is true. Having negative/positive people around can really affect your perspective in everything. i love oscar wilde quotes. they’re just on point! in japan, they have this sort of society-based judgment when you do something bad, the society will have their backs against you. that’s why they don’t want to wrong others. That is a great idea indeed. Everyone do one random act of kindness on one day. Even something as little as a smile can make someone’s day. Reproduction stop. 10 years. The next ten, one child only. The next five, 2 kids max. Year 26 will finally be normal again. The problem is overpopulation. Women have the power to change this.